Every dollar of your income should be allocated to some category on this sheet. Money "left-over" should be put back into a category even if you make up a new category. This sheet is where all your work thus far comes together! There are four columns to distribute as many as four different incomes within one month. Each column is one pay period. If you desire to enjoy financial peace now as well as in your later years; you must have a workable plan. 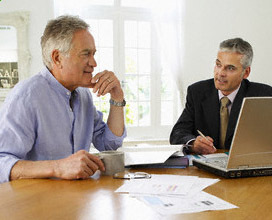 Listed are the major components that are recommended to achieve a successful financial plan.